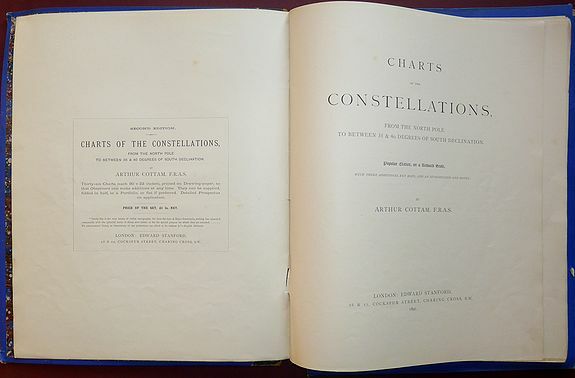 COTTAM, Arthur - Charts of the Constellations, from the North Pole to between 35 & 40 Degrees of South Declination. Popular Edition, on a Reduced Scale With Three Additional key Maps and Introduction and Notes. London, 1891, Uncoloured.. 400x330mm. In a cloth bound portfolio with leather spine marked, rubbed and worn with some nicks and tears. Marbled paper lining very good, Wrappers of Introduction and Notes part detached, just a few of the charts are lightly thumbed, otherwise very good. All 39 celestial charts are present plus the introduction of 32 pages. Published by Edward Stanford. Additional shipping costs apply due to weight of the book. Shipping to Europe and USA $ 30, Australia $50. CELLARIUS, A. / SCHENK,P. - Theoria Solis per eccentricum sine epicyclo. Amsterdam, 1708, Original colouring with later colour addition.. 430x510mm. Very fine condition. Strong paper, excellent impression, margins large, and as issued, just one small tear in the margin. 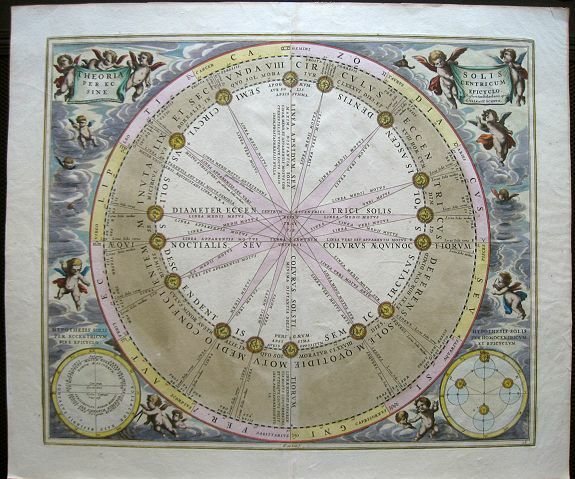 One of the finest and most highly decorative celestial charts ever produced, from the Valk & Schenk edition of Cellarius. DOPPELMAYR, Johann Gabriel . 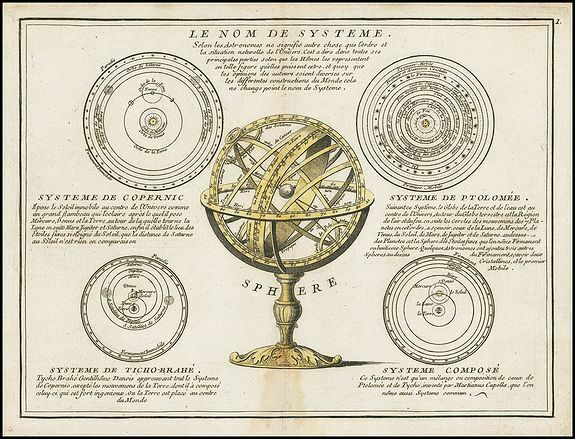 - Astronomia comparative...Planetis nostri respectu, Marte, Iove et Saturno sistuntur. . .
Nuremberg, 1742, In original colours.. 550x585mm. In very good condition, on strong paper, with strong colours, no defects. 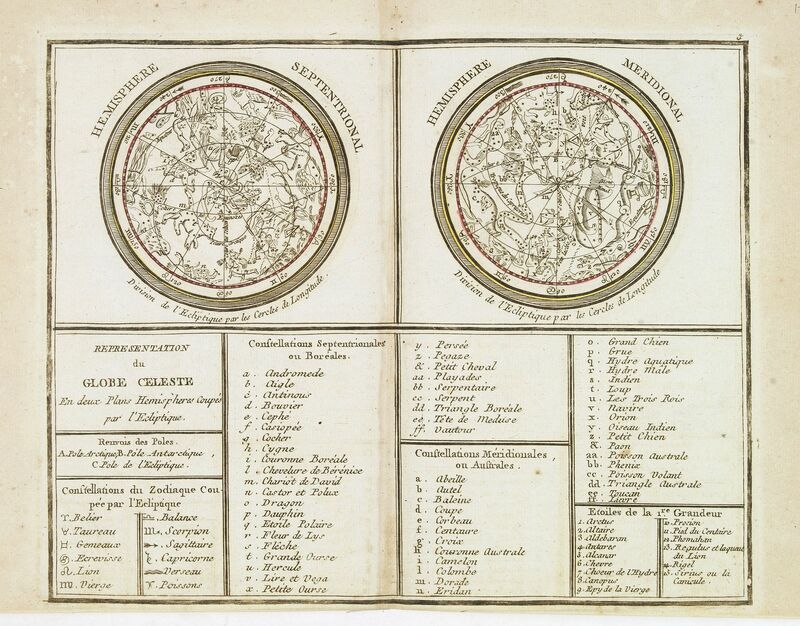 Plate nr.30 from the famous "Atlas Coelestis". The synodic periods of the outer planets as observed from the Earth and other planets. 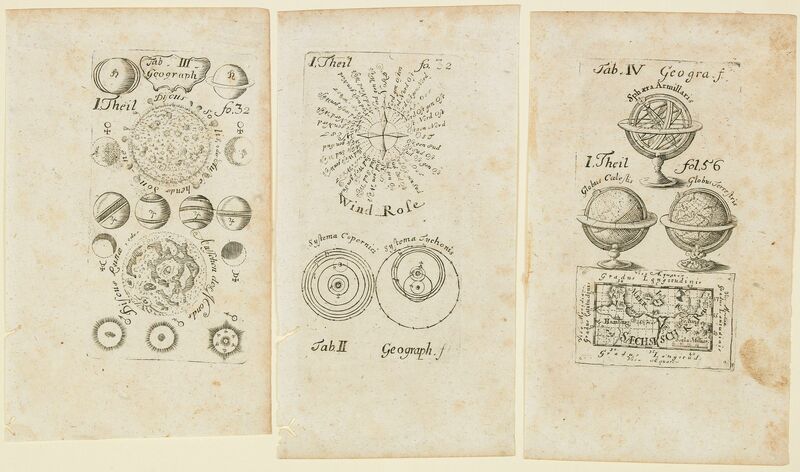 Insets depicting the Tychonic planetary scheme and the angular size of the Sun as seen from the planets, engraved between 1735 and 1742. LE ROUGE, George Louis. - Le Nom De Systeme. Paris, 1749, In original colours.. 200x265mm. Overall in good condition, lightly age toned,stained at lower centrefold, but on strong paper, with bright original colors. Vice Admiral J A Edgell - British Admiralty. - Modified Weir Azimuth Diagram. London, 1950, Original outline colour. 550x760mm. In good condition. 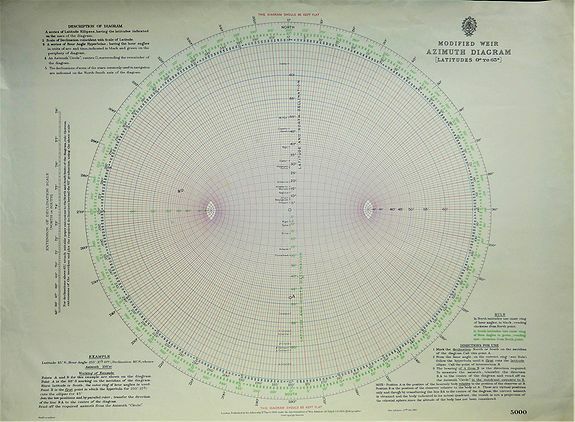 Was an operational chart. 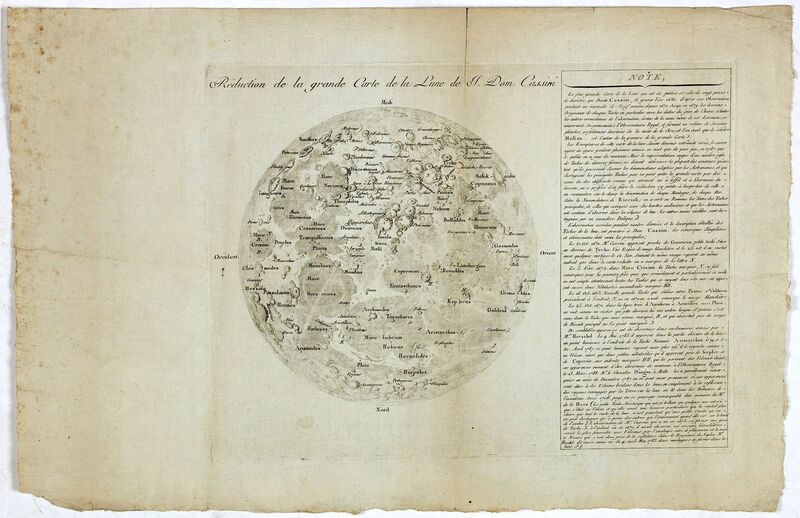 CASSINI, Jean-Dominique - Reduction de la grande Carte de la Lune de J. Dom. Cassini. Paris, 1788, Uncoloured.. 233x310mm. Paper has several old foldings. Some slight outer marginal spotting. Size of sheet : 292 x 455mm. Germany, ca. 1790, Uncoloured.. 112x60mm. 3 pages, with each plate mark 112 x 60mm. Size of each sheet 150 x 95mm. Paper slightly age toned and lightly spotted. MONDHARE, L.J. 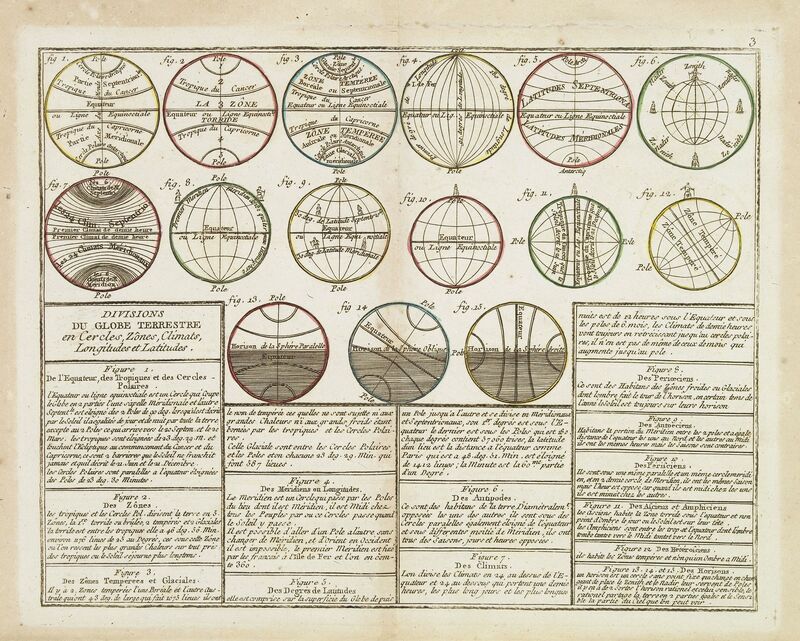 / NOLIN, J.B. - Divisions du Globe Terrestre en Cercles, Zônes, Climats, Longitudes et Latitudes. Paris, 1783, In original o/l colours.. 213x270mm. Good and dark impression. Marginal discolouration. Good condition. 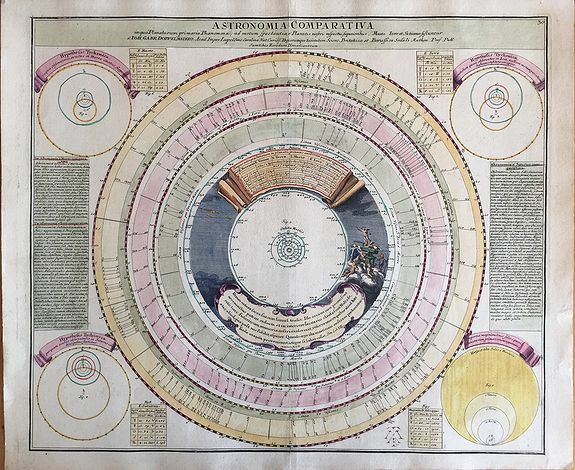 A scarce print showing 15 globes, each globe showing different zones published by Mondhare for his Atlas Général a l'usage des colleges et maisons d'education.. Underneath 15 blocks with explanatory. MONDHARE, L.J. 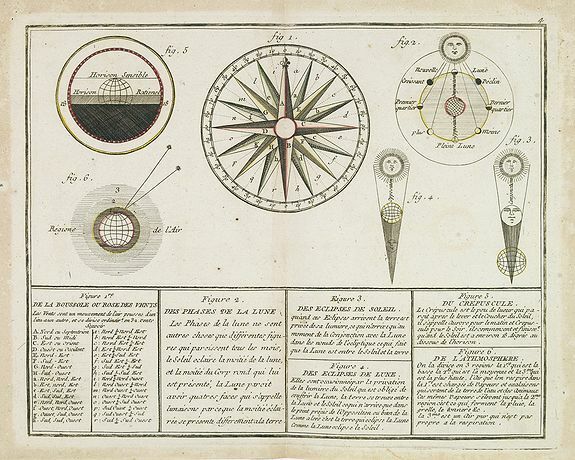 / NOLIN, J.B. - Représentation du Globe céleste En deux Plans Hémisphères Coupés par l'Ecliptique. Paris, 1783, In original o/l colours.. 222x275mm. Good and dark impression, printed on strong paper. Some minor marginal discolouration, not affecting printed area. Lower margin cut short. Marginal worm trace. Very good condition. Scarce double armillary sphere prepared by Nolin and published by L.J. Mondhare for his Atlas Général a l'usage des colleges et maisons d'education..
MONDHARE / NOLIN,J.B. - De la Boussole ou Rose des Vents / Des Phases de la Lune. / Des Eclipses de Soleil. / Des Eclipse de Lune. / Du Crépuscule. / De l'Atmosphère. Paris 1783, In original o/l colours.. 218x270mm. Good and dark impression, printed on strong paper. Some minor age-toning. Good condition.